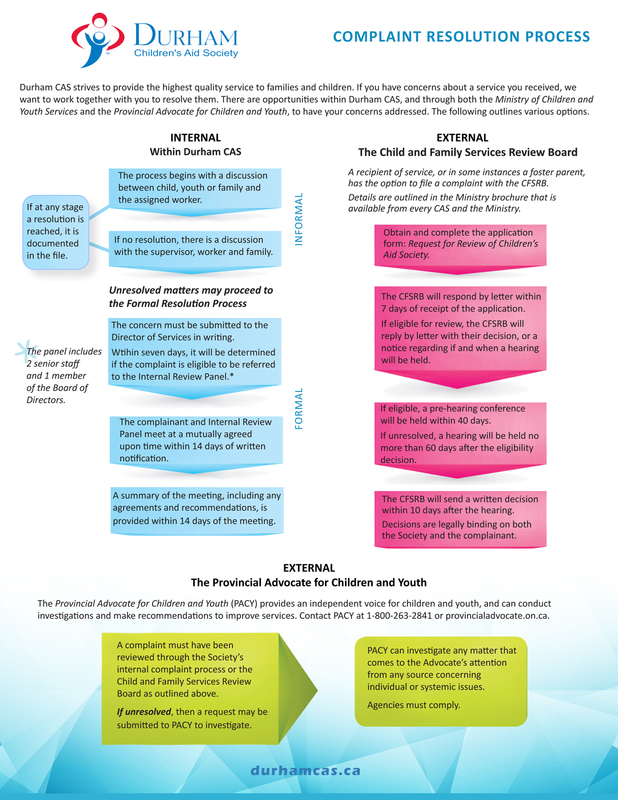 Durham CAS strives to provide the highest quality service to families and children. If you have concerns about a service you received, we want to work together with you to resolve them. Please discuss your concern with your worker or his/her supervisor. If you are not satisfied following these discussions, then you can file a formal complaint. 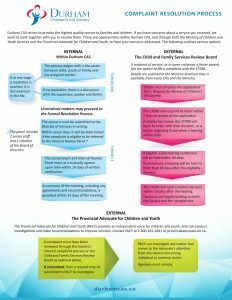 You can also contact the Provincial Advocate for Children and Youth at 800-263-2841.